This chapter explores the connection between cultural indoctrination (CI) and open innovation in human creativity and its importance in an era of global hypercompetition. As organizations are confronted with the need to engage with stakeholders from a variety of different cultural backgrounds, the need to understand the ways in which cultural imperatives play into individual and collective performances becomes increasingly important. Based on an integrated literature review, this chapter examines the following eight factors included in CI: child development, cultural institutionalization, cultural intelligence, language structure and acquisition, social learning theory, religion, social capital, and values orientation theory (VOT). It is from these factors that a conceptual framework is developed for future application in theory and practice in open innovation. The globalization of today has placed many different demands on business, government, and society that simply did not exist even 10 years ago (WEF, 2018). There are four major global forces today which are largely behind this reality that are self-explanatory (McKinsey Global Institute, 2015): accelerating technological change worldwide, urbanization, a globally and rapidly aging population, and greater worldwide connections including trade, people, finance, and data. Disruptive technologies such as 3D printing, advanced robotics, next generation genomics, and renewable energy are also a significant part of the mix (McKinsey Global Institute, 2013). Anderson and Wong (2013) state that obtaining competitive advantage in the digital economy of the 21st century requires focusing on intangible factors such as firm strategy and positioning, radical innovation and first mover advantages, intangible resources and competencies, organizational ambidexterity, network effects and externalities, transaction cost efficiency, and relational optimality. These factors will make destabilizing cycles of volatility more likely than ever before in this century (McKinsey Quarterly, 2010). Associated effects include global inflation, drastically altered business and product life cycles, and the need for corporations to increase liquidity buffers for unexpected changes in global markets (Global Research Society LLC, 2018). Cultural Indoctrination: The process of inculcating ideas, attitudes, beliefs, and cognitive strategies during the transfer of cultural traditions from one generation to the next with the expectation that such traditions will not be questioned but practiced in the future. Sustainability: The capability to continue a business organization or process over a long period of time at an acceptable rate of profitability. Competitive advantage: The attribute that allows an organization to outperform its competitors. A competitive advantage may include access to natural resources, highly skilled labor, geographic location, high entry barriers, and access to new technology. 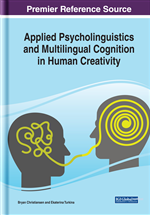 Language acquisition: The process by which humans acquire the capacity to perceive and comprehend, as well as to produce and use and to communicate. Fuzzy Logic: Fuzzy logic is an approach to computing based on “degrees of truth” rather than the usual “true or false” (1 or 0) Boolean logic on which the modern computer is based. Open Innovation: A strategy by which organizations allow a flow of knowledge across their boundaries as they seek ways to enhance their innovation capability. Disruptive Technologies: Technologies which significantly alter the manner in which businesses or entire industries operate.